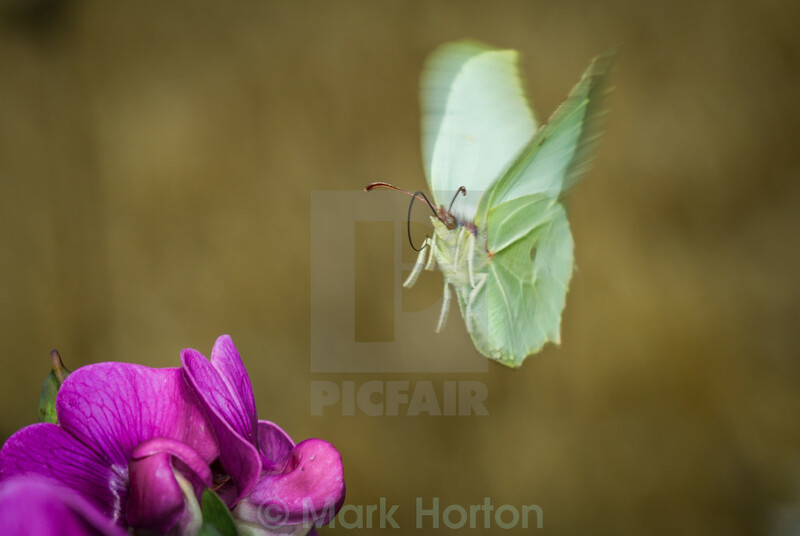 A female Brimstone butterfly launches itself from a perennial sweet pea flower at Magdalen Hill Down. The Brimstones seemed to absolutely love this plant. Will definitely be planting some for next year.